Motorola, part of Lenovo group has released its Moto G 4th Gen or Motorola G4 in 2 variants Moto G4 & G4 Plus which provides lots of optional features to the buyer. There has been some major complains about the device getting heated up pretty quickly while not acceptable from a Motorola device. On using the device for around a week, the device doesn’t seem to heat up on normal usage but if you’re a heavy gamer, you might feel burns. Motorola may release OTA update to solve this issue but if you want to overcome this issue & perform customizations, you can jump on to Rooting Moto G4 Plus & installing Custom ROMs like Cyanogenmod 13. 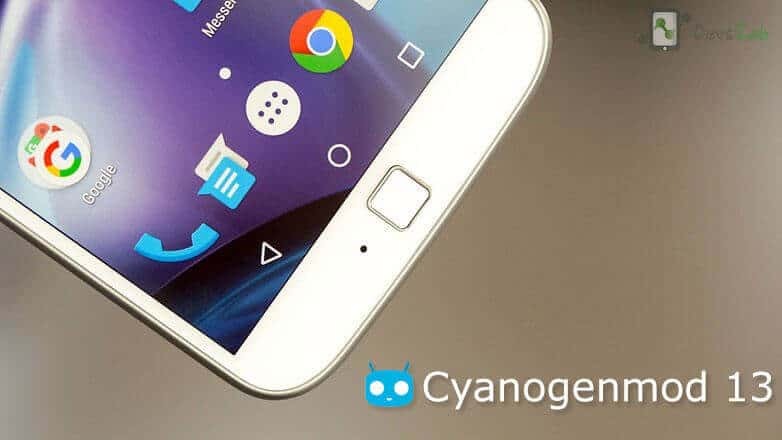 If you’re not aware of Cyanogenmod, CyanogenMod is based on the Android Open Source Project with extra contributions from many people within the Android community. It can be used without any need to have any Google application installed. Not only that, Cyanogenmod offers customizing your device in clicks. Let’s jump on to the Pros & Cons of this ROM & the complete installation process of Cyanogenmod 13 in Motorola G4/G4 Plus 2016. XT1625(Single-sim) variant not supported yet . Device charged upto 30% to avoid any shutdown during the flashing process. Backup all your System files, data & App (if required). You can refer to FlashFire Wireless Backup guide to make it easy & quick. Note: Devs-Lab won’t be held responsible for anything happening to your device after/during the flashing process. You have decided to make this changed to your device & you would be solely responsible for your actions. We might help you under such situations. Tint Screen Red at Night / use Nightmode. As this is an unofficial release & the Official release is yet to come out, you might find some minor bugs but that’s completely acceptable in exchange for the features CM 13 offers to you. Step 1. Transfer all the downloaded files in your device’s SD card using any USB cable or file transfer server. Step 2. 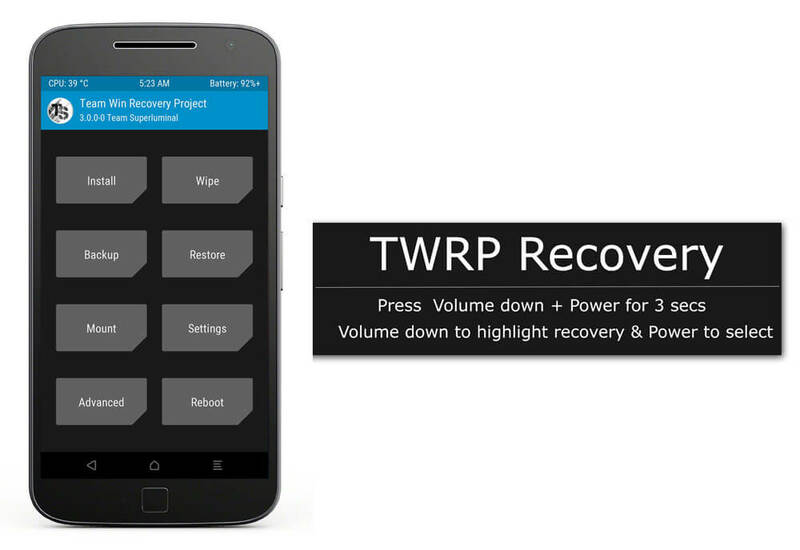 Switch off your Moto G4/G4 Plus & boot into TWRP recovery mode (Press Volume Down + Power for 3secs then use Volume down key to select Recovery & press power to select). Step 3. Click on Backup & create a System, data,boot & kernel backup if you have not created any. Step 4. (Recommended) Goto Wipe option. Select System, cache, data & dalvik cache to wipe. Swipe to confirm wipe. Step 5. Go back to TWRP home. Click on install & locate the transferred CM 13 ROM zip file. Step 6. Select the file to install and swipe to confirm installation of ROM file. Step 7. Again go back to TWRP home & click on install. Now locate the Gapps package file & swipe to confirm installation of file. If you are facing too much heating or low battery life problem like many other G4 users, you must consider flashing this custom ROM as it has lot to offer & very few problems to face. Rooting will also allow you to overclock device, under clock CPU to maintain CPU temperature. You can check various advantages of Rooting. After using this ROM for few hours, the Performance seems incredible unlike the stock. The battery seems to last longer than stock ROM. If you are a normal user & ain’t facing any performance or any other issue, you can settle with the stock firmware. As the ROM is currently in unofficial development, it might not be suitable for daily usage. But it won’t disappoint you if you switch to this ROM. Overall the ROM seems much better than the stock & offers lot more features. I didn’t find any issue to worry about. You can flash custom kernel too & increase performance. Let us know how the ROM is better/bad than stock firmware.